All inputs are universal and can accept computer (up to 1600×1200), composite, s-video, component video, HDTV and RGBHV. Each model provides for switching of RGBHV signals and two channel stereo audio (balanced and unbalanced). Each input and output is individually isolated and buffered. These input(s) can be switched to any one or all outputs with no crosstalk or signal noise between channels. 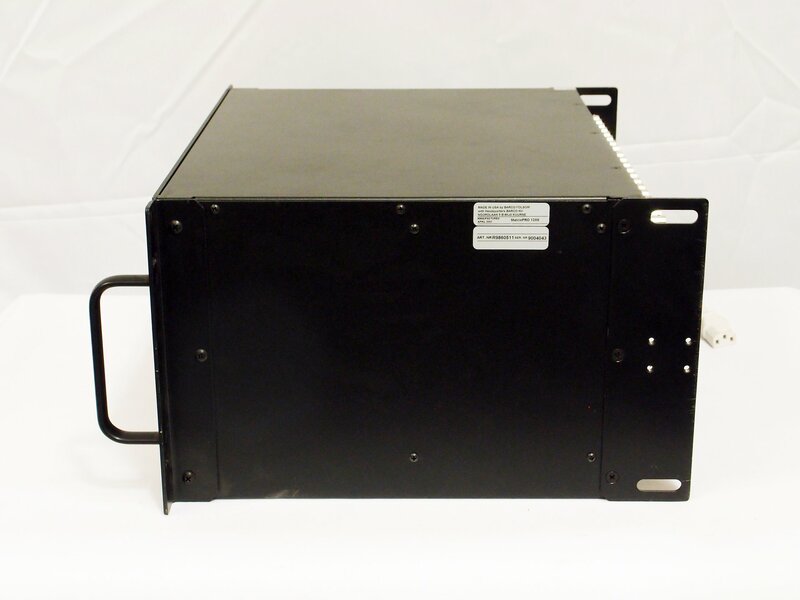 Units are rack-mountable, and each unit includes RS-232/485 capability. The 12×8 model comes standard with the easy to operate front panel control, which allows for simple input and output selection directly from the front panel. All units can be connected to a optional Remote Control Interface that allows for remote input and output selection. An Ethernet port for IP Control is featured on all units. 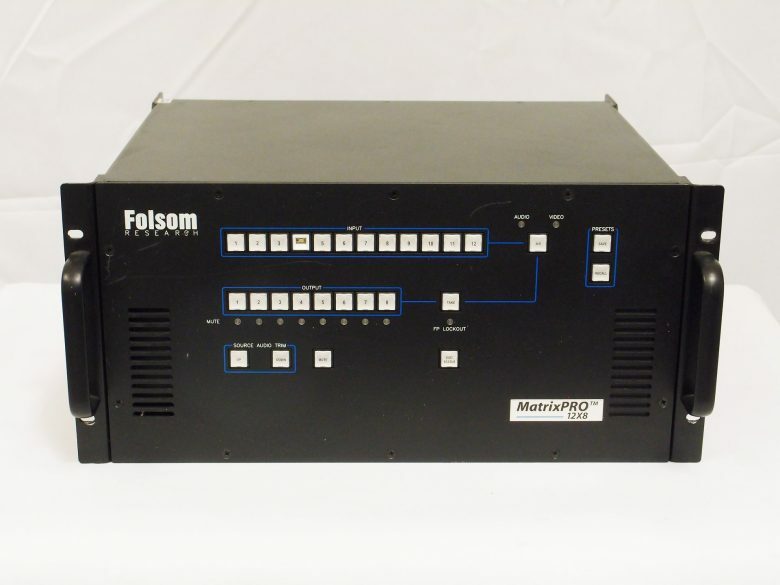 The MatrixPRO series also features I/O grouping. This grouping allows the matrix to be divided into smaller sub-switchers, making installation and control easier. I/O grouping allows specific outputs to be grouped together-such as those designated for a specific video format. 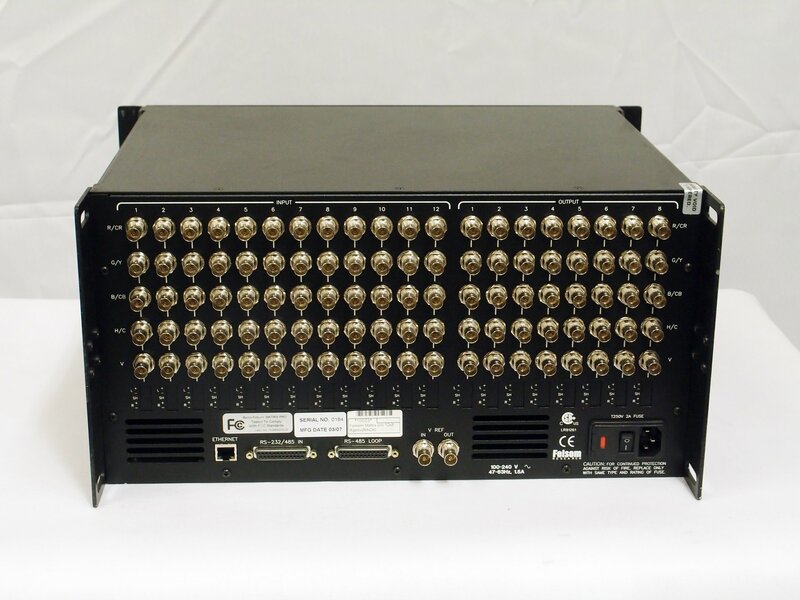 Each unit features Vertical Interval Switching capability to provide glitch-free switching when used with synchronous video sources. RGB delay is used when video is not synchronously locked. Included with each unit is a copy of Folsom’s MP Control Software. A Windows®-based control program that allows you to configure and control the matrices for various applications. Large LCD display allows for easy navigation and to provide visual verification of important information about matrix switcher settings.